BMI honored sibling trio The Band Perry and their hit song “If I Die Young” at the company’s Music Row office. 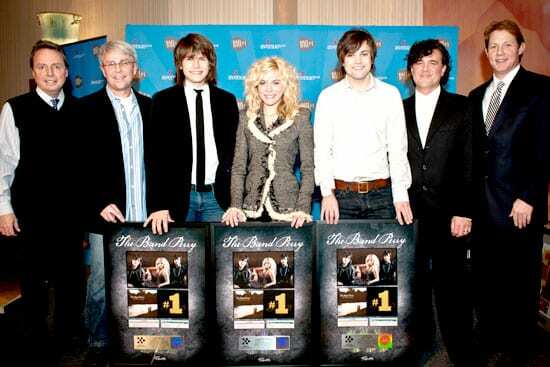 Written by Kimberly Perry and performed by her and her brothers Reid Perry and Neil Perry, the song marks Kimberly’s first trip to the top of the charts as a songwriter as well as the group’s first No. 1. This is also the first No. 1 for Republic Nashville, which formed in June 2009 as a joint venture between Scott Borchetta, President/CEO of Big Machine Records, LLC and Monte Lipman, President/CEO of Universal Republic.